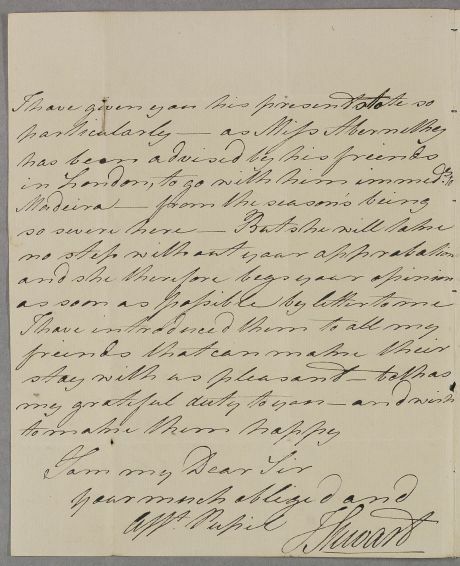 Letter from John Stewart, thanking Cullen for his response on his unnamed female patient. He informs him of Mr Abernethie's safe arrival, bearing Cullen's letter about him [ID 4981]. Miss Abernethie has been advised by friends in London to go with her brother to Madeira. The place of posting on the cover seems to be handwritten on as London, indicating that W Molleson provided a frank (free postage). 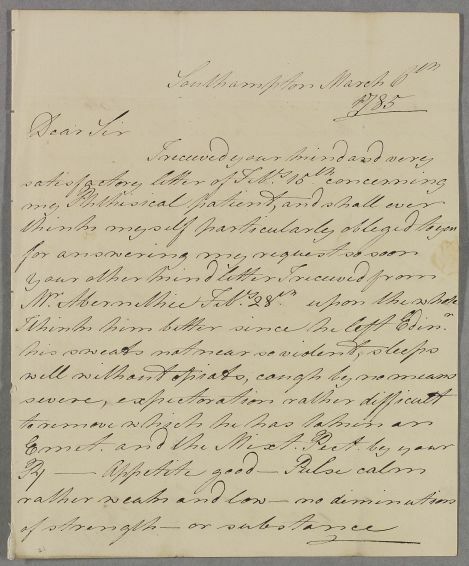 Summary Letter from John Stewart, thanking Cullen for his response on his unnamed female patient. He informs him of Mr Abernethie's safe arrival, bearing Cullen's letter about him [ID 4981]. Miss Abernethie has been advised by friends in London to go with her brother to Madeira. 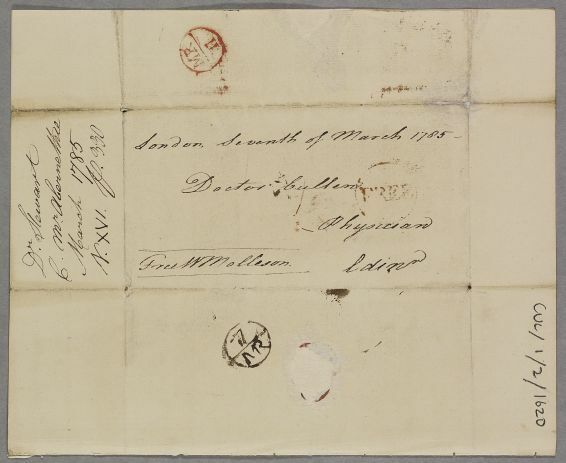 The place of posting on the cover seems to be handwritten on as London, indicating that W Molleson provided a frank (free postage). I think him better since he left Edinr.